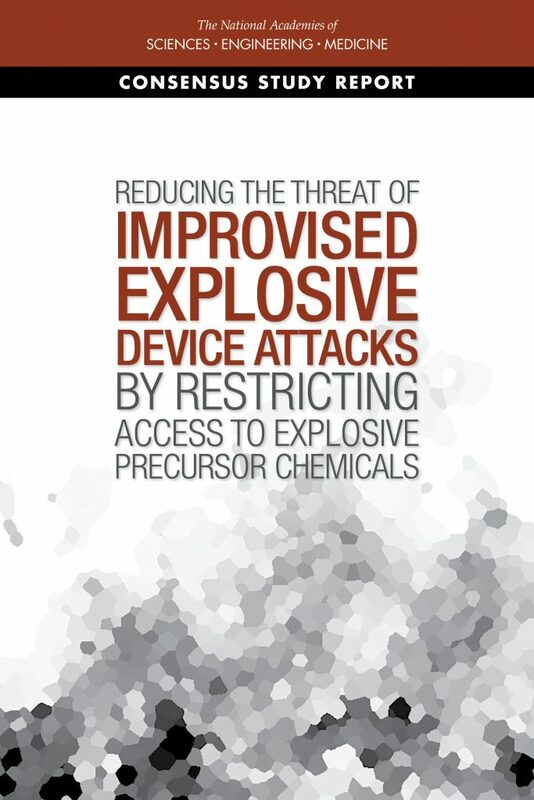 Welcome to the Committee on Reducing the Threat of Improvised Explosive Device Attacks by Restricting Access to Chemical Explosive Precursors study website. To assist the Department of Homeland security (DHS) in its efforts to safeguard the Nation’s people, infrastructure, and economy from terrorist use of improvised explosive devices (IEDs), the National Academies of Sciences, Engineering, and Medicine will identify priority precursor chemicals used in the manufacture of IEDs, suggest controls that could be considered as part of a voluntary or regulatory scheme, and examine tradeoffs among those strategies. The Study Committee is pleased to announce the release of the report, and is available for free download on our website from the National Academies Press.